The Highlead GG80018-760HA-P2 is a specialist extra long arm Zigzag machine designed for use with heavy & extra heavy weight materials. 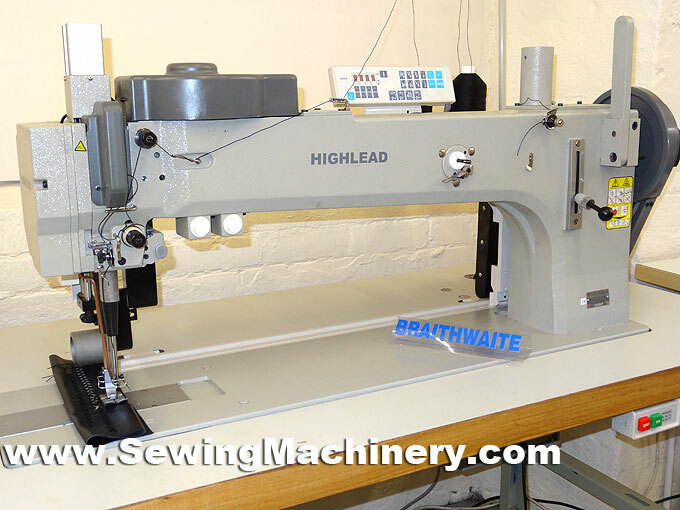 The sewing machine arm gives approximately 760mm clearance to the right of the needle, which is around 3 times the length of a standard arm Zigzag machine. The extra long arm clearance is very useful when sewing larger items, for example: sails, tents, covers etc. The high under arm clearance is approximately 260mm which is over twice the clearance of a normal industrial Zigzag machine. 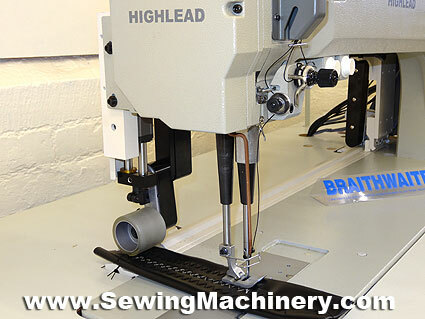 For added versatility this Highlead model incorporates a quick change cam system which allows you to alter the machine from a standard Zigzag to a 2 step Zigzag or 3 Step Zigzag or even a 4 Step Zigzag (with optional cams). 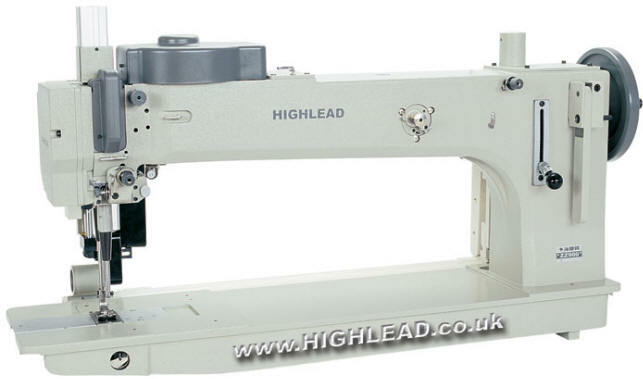 A high foot lift clearance of up to 20mm allows for heavy & bulky material to be sewn. The foot lifter mechanism is pneumatically assisted and lifts automatically. The extra large shuttle hook and bobbin capacity reduces the number of bobbin changes and offer high efficiency in sewing products using extra thick thread up to size V207 (including sizes V92,V138 etc.). 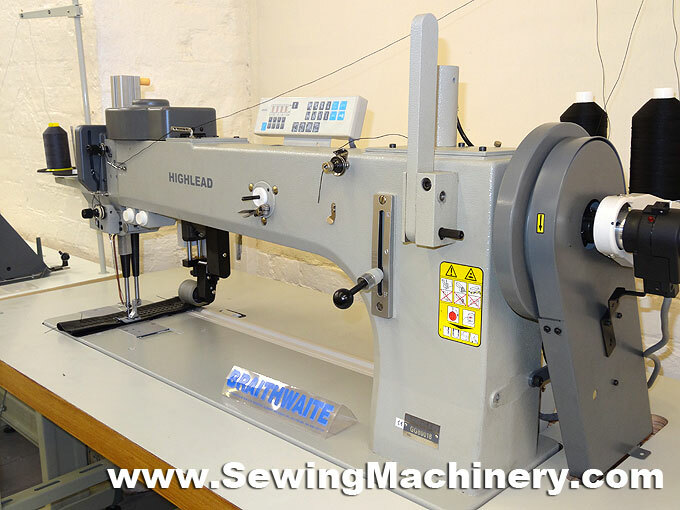 The position of the needle is controlled by an electronic needle position motor & controller. 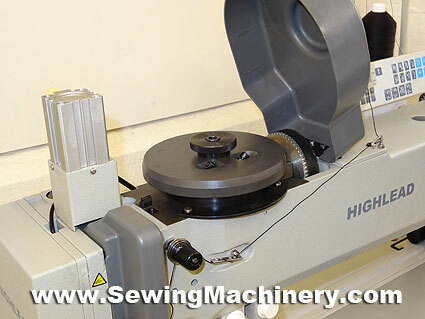 This will automatically put the needle in an UP or DOWN position at the end of a sewing cycle: reducing the need to use the manual hand wheel; this is of particular use on long arm models. The electronics also control the automatic foot lifting & reverse devices. To ensure a powerful and steady feed action this model has bottom feed which is combined with a back mounted puller feed device which includes top and bottom driven rollers. Auto pneumatic reverse / back tack device. Needle size: DYx3 size 26 etc.